The last winner of FIFA 19 Bundesliga Player of the Month February has been released, Bayer 04 Leverkusen player Julian Brandt got the award with 2 goals and 4 assists and receive his first POTM card that obtainable through the Julian Brandt SBC live in Ultimate Team now until March 29, 2019. Here best fut coins website offers you the cheapest solution to complete FIFA 19 POTM Brandt SBC with squads price, challenge details and player review. Julian Brandt, plays for Bundesliga club Bayer 04 Leverkusen and Germany national team as a midfielder, great league, club, and nationality and win the Bundesliga February Player of the Month with a 88 rated POTM SBC card, does it a great value SBC? Let’s take a look at the in-game stats and attribute details of FIFA 19 POTM Julian Brandt. This is a really nice card, four-star weak foot and skill moves, 88 overall rating, 87 pace, 85 shooting, 89 passing and 90 dribbling. 91 ball control, 93 in-game dribbling and 93 short pass, Brandt is definitely a fantastic midfielder. You can also play him as a forward or striker, as he has 86 finishing, 88 shot power, 86 long shots and 89 sprint speed, but the 72 volleys and 59 penalties are obvious negatives, physical is not ideal as well, so if you are going to use him to play matches, some chemistry style is recommended for that, like Hawk and Marksman. When it comes to the FIFA 19 POTM Julian Brandt SBC, you need to submit three squads with only one TOTW cards, the lowest price is about 115-125K FIFA 19 coins now, much cheaper compared to previous POTM card, considering the link and chemistry in team, this is an amazing value SBC to spend 115K FUT 19 PS4 Coins for exchanging a 88 rated Brandt and 3 FUT packs worth for 78K coins! And you can check the 200k coins price fifa 19 from trusted fifa coin sellers for more deals on fifa coin packs. 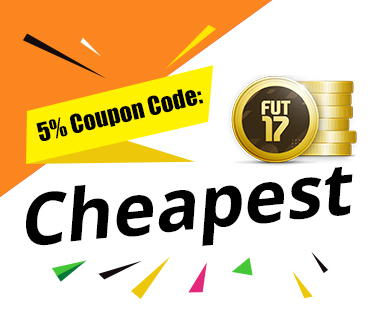 Also don’t forget to check the coupon code fifa coins for 5% off on the cheapest FIFA Coins.